Samana Developers, a Dubai-based developer, has launched its Samana Hills project – a Dh100-million ($27.2 million) property that will host 200 residential units – in the heart of the Arjan community near Miracle Gardens in the UAE emirate. The residential units, which will soon go on sale with prices starting at Dh399,000 for studios and Dh599,000 for one-bedroom apartments, comes with a very convenient payment plan of one per cent per month for 90 months, following 10 percent down-payment on purchase. Samana Hills will be located opposite Dubai Hills Estate at the heart of Arjan. The five-storey project consisting of 205 residential units will be delivered by the fourth quarter of 2021, said the company. “Samana Hills is an ideal real estate asset in the making that will help fulfil a gap in the market for quality affordable hospitality properties that will help investors generate a higher return," said a spokesman. The new project launch comes as the developer is preogressing well on its maiden project – the Dh75 million Samana Greens at Arjan -- that will be ready for handover in early 2020. 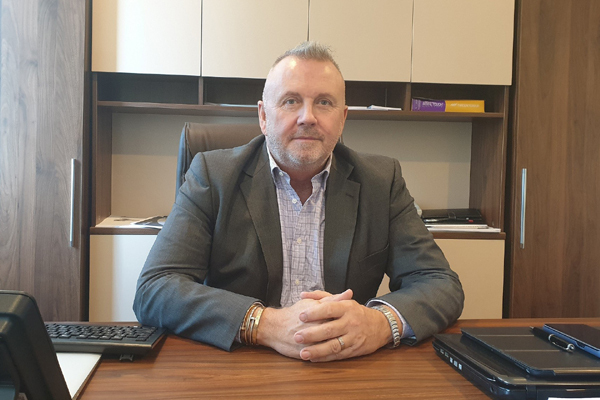 Alan James Gammon, general manager of Samana Group, says: “Samana Group entered the UAE’s real estate market when the market started to show signs of maturity. Real estate is a long-term business and we have entered in this market with a lot of conviction and it is our firm belief that the Dubai real estate market is the best regulated in this part of the world. “Through the Samana brand and its asset management arm, the project will obtain long-term sustainability and will create a win-win situation for all stakeholders – the property owners, managers, developer and residents – who will be pamperedwitha high-quality service at an affordable price. The project will be completed in 2.5 years when the rental income starts to kick in. “This means, the property owners might have to just invest 40 percent (10 per cent down payment and 30 monthly instalments of one per cent each) of the price of the property and pay back the rest from the rental income,” says Alan James Gammon. One of the key features of the property is its luxurious leisure deck with infinity pool, water features, swim up bar area, barbeque area, 24-hour coffee shop and indoor, outdoor gymnasium.